Animal rights group Peta (People for the Ethical Treatment of Animals) has published a blog claiming that people who buy dogs can’t be feminists. 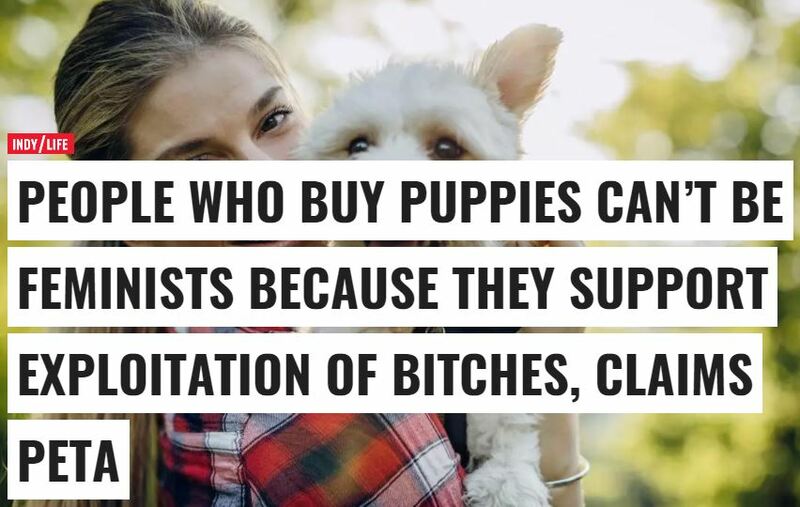 The argument put forward is that those who purchase dogs as opposed to adopting are supporting the sexual exploitation of female dogs who are used by their owners solely to breed puppies. Female dogs who are kept in puppy mills are forced to endure multiple births until they’re physically incapable of carrying any more puppies, the organisation states.